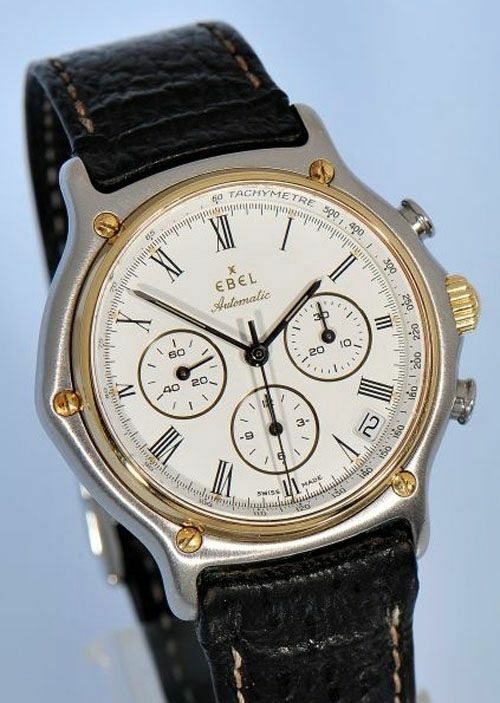 When I just started out liking and looking at (serious) mechanical watches, Ebel was one of the brands that I really liked. Especially their chronograph with Zenith El Primero movement was particularly interesting, easy to recognize as these models have a snap-on case back. Over the years, the movements changed (from Zenith to Ebel’s in-house caliber 137) but the characteristic case shape with the 5 screws and nice satin finish stayed. Although I wouldn’t mind having the Ebel chronograph with El Primero movement (Ebel caliber 134 based on Zenith’s caliber 400) – actually the same one as Don Johnson was wearing in Miami Vice – the new 1911 BTR Chronograph models are more up-to-date and just as interesting. More about the current Ebel 1911 Chronograph later on in this article. Let’s talk some history first. 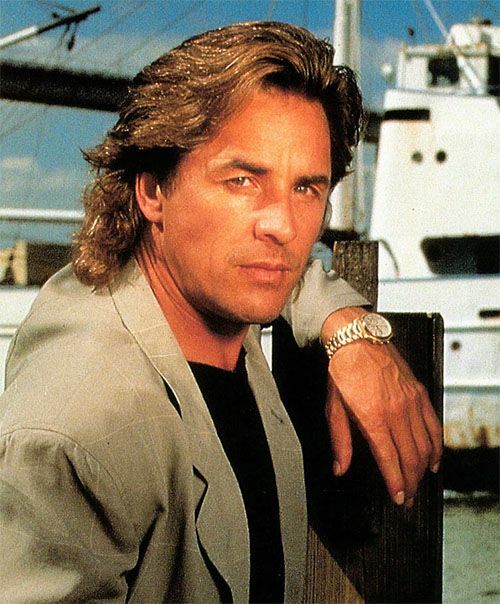 As you can see in the picture above, Don Johnson is wearing the Ebel chronograph in stainless steel/gold combination. A perfect fit to his Miami outfit (including an impressive mullet) in the late 1980s and early 1990s. Below, you see the exact same version of his watch, on a leather strap. This watch, with the highly sought-after Zenith El Primero movement is one of these watches you will rarely see in the flesh. While Ebel is also (or mostly?) popular by the non watch collectors for being ‘a good’ watch for a reasonable price, I guess that people who bought this watch back in the day probably didn’t even know about the superb chronograph movement ticking inside. You can snap these watches for approximately 1500 euro from eBay or Chrono24. 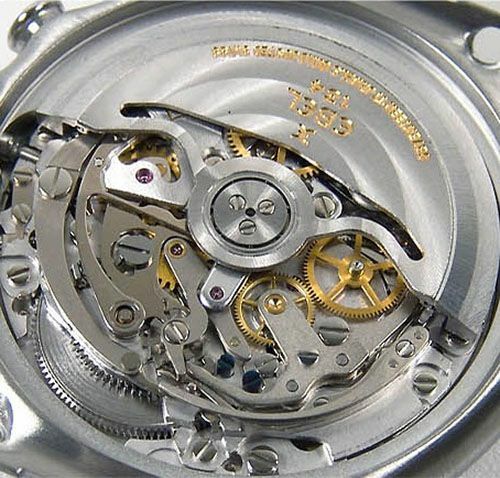 Below you’ll see a close-up picture of the column wheel chronograph movement, Ebel caliber 134. Fast forward to 2006, 20 years after the first 1911, Ebel introduces a new line-up of 1911 sports watches by the name of 1911 BTR. The automatic chronograph caliber 134 had already been replaced by their own in-house caliber 137. Ebel understood it was time to upgrade the rather classic looking chronograph line-up and their design team came up with a more masculine sports watch, with a larger hexagonal case, measuring a whopping 44.5 mm in diameter. As you can see on the picture above, unmistakeably Ebel, and definitely wearable for the watch aficionado of now. The black rubber elements like the bezel, pusher and crowns really emphasize the new game Ebel joined. A serious competitor for other brands with in-house chronograph movements? In specifications and design? Yes! However, just like the old Ebel chronographs, how come I rarely see these 1911 BTR beauties in the flesh? These 1911 BTR Chronograph models start at 5100 euro (list price) and although that’s serious money, it is a very fair price for a time piece with an in-house chronograph movement. In my opinion, an even more interesting chronograph is their 1911 BTR Chronograph with caliber 139 movement. 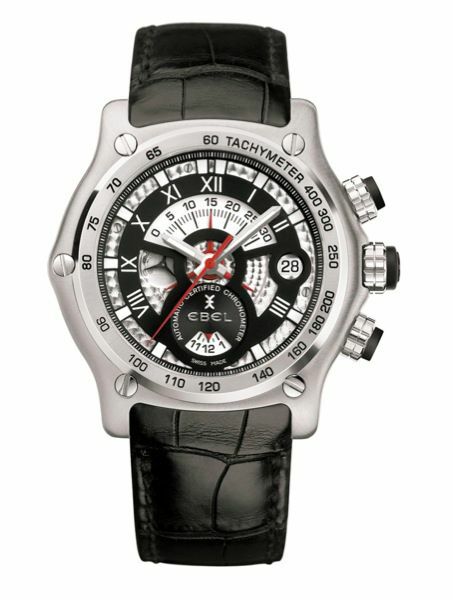 The minute and hour totalizer are a bit different from the ordinary chronograph lay-out, the minute totalizer is located at 12 o’clock, indicating the current minute on a 0 – 30 scale. Below, the totalizer at 6 o’clock points at the current hour. When the first 30 minutes of an hour elapsed, the totalizer at 12 o’clock will indicate so. The tachymeter scale is also more visible on this model. One could say that this caliber 139 version is more bold than the regular BTR 1911 caliber 137 chronograph. 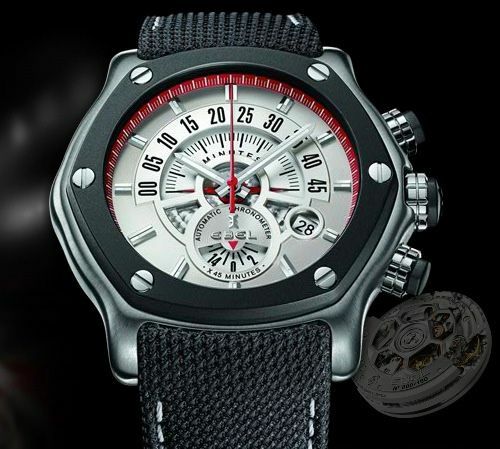 List price of this particular model, with alligator strap, is 5990 Euro. All BTR movements are COSC certified, which means they have been regulated and tested to be as accurate as -4 / +6 seconds per day. Besides the 1911 BTR, Ebel also has a model called the Tekton. Although not part of the BTR line-up, I thought I at least mention these models. In the light of the current 2010 football World Championships in South-Africa, I’ll focus on their football line-up. Ebel introduced a number of specials in their Tekton series, for FC Bayern-Munich, Arsenal, Ajax, Real Madrid, Olympique Lyonnais and Rangers. Using caliber 245, the user of this watch uses the 45 minute totalizer at 12 o’clock position to measure the time of a certain half and uses the hour totalizer at 6 o’clock to count the number of ‘game halfs’. Each of these club specials are only being made in limited editions (starting with 150 pieces for Ajax and 500 pieces for Real Madrid) and are there to point out the connection between Ebel and football, which they have been sponsoring since the early 1980s. Ebel launched a dedicated football section on their website which is worth checking out for fans of either of the mentioned clubs. Pictured below is the Ajax special of 150 pieces. The Tekton watches have a 9900 Euro price tag. 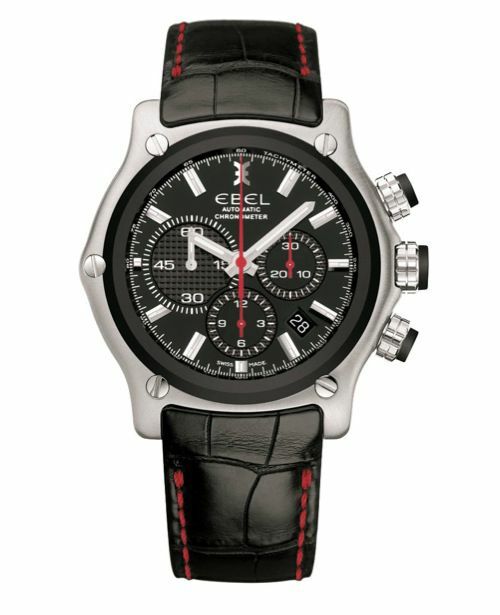 Fan of the most popular game in the world or not, Ebel is an interesting brand and with the BTR and Tekton they should be considered a serious player in the world of watches and especially of chronographs. It is about time that Ebel will get its own forum on the big watch portals on the internet and being recognized amongst collectors and aficionados of fine time pieces. Visit the Ebel website for more information and visit their Facebook page to see what they are doing right now.